Two powerful House chairmen are asking the U.S. Attorney of the District of Columbia to start an FBI investigation of possible perjury by former secretary of state Hillary Clinton during testimonies about her private email scheme. “The evidence collected by the FBI during its investigation of Secretary Clinton’s use of a personal email system appears to directly contradict several aspects of her sworn testimony,” wrote Rep. Robert Goodlatte (R.-Va.), the chairman of the House Judiciary Committee and Rep. Jason Chaffetz (R.-Utah), the chairman of the House Oversight and Government Reform Committee. The decision to sent the letter came after Chaffetz questioned FBI Director James B. Comey, during the director’s July 5 testimony. That’s when the House Oversight asked him to explain his decision to not recommend legal charges against Clinton for her handling of classified electronic correspondence. Chaffetz asked Comey if the FBI had investigated Clinton for contradictions between her public statements, statements made under oath to Congress and the facts determined by the FBI. In response, Comey told Chaffetz that the FBI did not investigate any of Clinton’s statements for truth or possible perjury. Chaffetz: Do you need a referral from Congress to investigate her — her statements under oath? Chaffetz: You’ll have one. You’ll have one in the next few hours. Chaffetz marshaled the support of Goodlatte, whose committee has oversight over both the Department of Justice and the FBI. 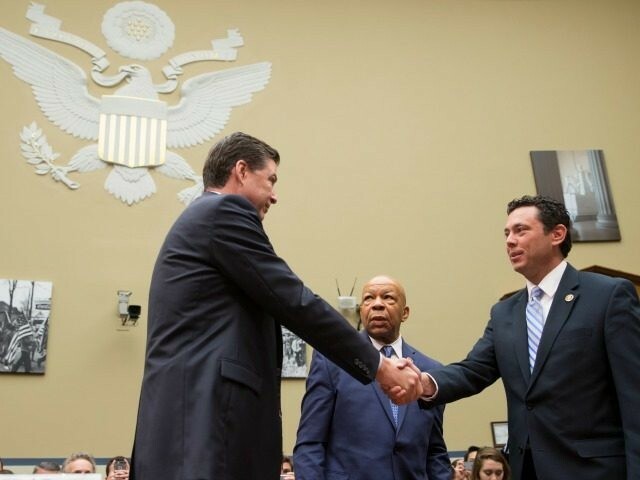 In a separate letter, Chaffetz also directed Comey to present to the committees all witness reports, including 302 reports, which are interview summaries submitted by FBI agents, as well as any and all documents, memoranda and analysis created in the course of the email investigation. The chairman also made it clear to Comey that House Rule 10 makes House Oversight the senior investigatory committee in the House with the authority to any matter at any time.